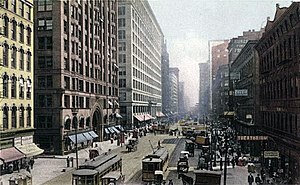 Pedestrians Are Taking Over State Street in Chicago–No Cars Allowed! When: Saturday, October 1, 10 a.m. – 3 p.m.
On Saturday, October 1, State Street will be transformed into the ultimate urban playground—allowing pedestrians only to play, walk, bike and enjoy healthy recreation in a car-free environment. Open Streets on State Street is presented by Chicago Loop Alliance and Active Transportation Alliance. It will include activities such as a modular skate park, free yoga classes and breakdancing demonstrations. Plus, several Loop businesses are teaming up to offer special discounts for one day only at area restaurants, retail destinations and cultural institutions. The event is free and open to the public. For more information, visit OpenStreetsOnStateStreet.org or connect on Facebook or Twitter @OpenStreetsChi.